Certainly there are more interesting, more original and more accurate ways to answer the question “How are you?” I’m hungry for a burrito; I’m envious of my best friend; I’m frustrated by everything that’s broken in my house; I’m itchy. I have a hunch that there is a direct correlation between the advent of coffee bars and the increase in busy-ness. Look at us. We’re all pros now at hailing cabs/making Xeroxes/carpooling/performing surgery with a to-go cup in hand. We’re skittering about like hyperactive gerbils, high not just on caffeine, but on caffeine’s luscious byproduct, productivity. Ah, the joy of doing, accomplishing, crossing off. I’m starting to think that, like youth, the word nothing is wasted on the young. Maybe we should try re-introducing it into our grown-up vernacular. Nothing. I say it a few times and I can feel myself becoming more quiet, decaffeinated, Zen-ish. Nothing. Now I’m picturing emptiness, a white blanket, a couple ducks gliding on a still pond. Nothing. Nothing. Nothing. How did we get so far away from it? 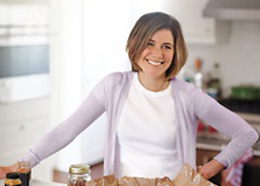 It was my introduction to the writer Amy Krouse Rosenthal, who died yesterday from ovarian cancer at the age of 51. She had three kids and a husband of 26 years. Many of you were familiar with her childrens’ picture books (Little Pea, OK, Spoon, Duck! Rabbit!) which came along a little after my kids aged out of that genre. Millions more of you were first introduced to her last week when, on her death bed, she wrote a dating profile for her husband, Jason, in the New York Times‘ Modern Love column, “You Might Want to Marry My Husband.” It’s hard to read, but you must. BIRTHDAY – When I was a kid, my mom always made sure my brother and sisters and I woke up to birthday signs and her famous Krouse Klown drawing. I tried instating the Rosenthal Rabbit for my own kids, but it fizzled out because in my mind it never felt as special or as important as Krouse Klown; it felt fraudulent and satirical. For as many [of my own birthdays] as I can remember, my mom has presented me with a poem, a tender,rhyming summary of my life up to that point, and it is these gifts of verse written in her lovely Ann Krouse script that are the centerpiece of each birthday. BUTTERSCOTCH – I love butterscotch but rarely think to seek it out. PALINDROME – I am overly enamored with the palindrome: Won Ton, Not Now. RAINY DAY – A rainy day comes as a relief. Rain is your pass to stay inside, to retreat. It’s cozy and safe, hanging out on this side of the gray. But then the sun comes out in the afternoon, and there’s disappointment, even fear, because the world will now resume, and it expects your participation. People will get dressed and leave their houses and go places and do things. Stepping out into the big, whirling, jarringly sunny world — a world that just a few minutes ago was so confined and still and understated, and refreshingly gloomy — seems overwhelming. RETURNING TO LIFE AFTER BEING DEAD – When I am feeling dreary, annoyed, and generally unimpressed by life, I imagine what it would be like to come back to this world for just a day after having been dead. I imagine how sentimental I would feel about the very things I once found stupid, hateful, or mundane. Oh, there’s a light switch! I haven’t seen a light switch in so long! I didn’t realize how much I missed light switches! Oh! Oh! And look – the stairs up to our front porch are still completely cracked! Hello cracks! Let me get a good look at you. And there’s my neighbor, standing there, fantastically alive, just the same, still punctuating her sentences with you know what I’m saying? Why did that bother me? It’s so…endearing. SOUP – A good soup attracts chairs. This is an African proverb. I can hear the shuffling and squeaking on the wood floor, the gathering ’round. This, from just five well-chosen words. She was a lover of words — the way they sounded, the physical way they fit together. She made a career of finding happiness and a life philosophy in the random, the absurd, the sophomoric. Encyclopedia also includes things like charts that show the progression of going from a good mood to a bad mood; yearbook signatures that summarize high school; tables titled “Things That Confused Me for Way too Long” (As a kid she thought grown-ups were saying ten-year, not tenure); illustrations that show what she might look in a “Wanted” poster. She was the master of flipping conventions upside down. Think about writing a dating profile for your husband for after you are gone. And ending with an empty space where he can start a new love story. Think about how generous and full of grace and clear-headed and loving and funny that is. I don’t know what exactly this is all adding up to today. I wish I could be more philosophical about her treatise on “Nothing.” (Are we paying attention? Should her death be a critical reminder for all of us to aspire to more Nothing?) Except to say that I’m so deeply sad to hear that she’s gone. When I read that Modern Love essay, I had no idea she was dying. And though I had the briefest of relationships with her when I tried to assign her something as an editor, my only legitimate connection to her is from reading — and remembering — her words as I go about my day, flipping a light switch, baking a pie for someone, asking my husband what he had for lunch. I guess I just want to make sure as many people as possible do the same. Here is Encyclopedia of an Ordinary Life. 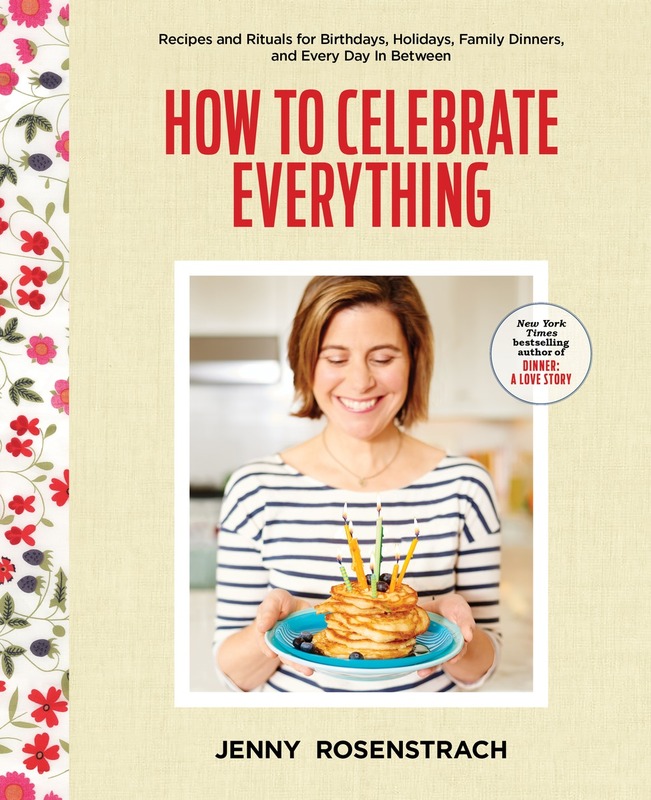 Here is her newest memoir, Textbook Amy Krouse Rosenthal, written before her diagnosis. Fans of her childrens’ books, please leave your recommendations in the comment field. P.S. What have you been putting off doing/starting/creating? I mean seriously, what are we all waiting for? Start it today. Start it now. In her honor. Cookies: Bite-Size Life Lessons absolutely captured my husband and me when our boys were little. We four would read it over and over again. With each reading, my husband and I could share more and wonder more and talk more with our sons about the wisdom. We gifted it to so many others. What a loss Amy’s death is. Cookies is a favorite here, too. It has been my choice for a classroom donation many times over. This Plus That: Life’s Little Equations is tops as well. Years ago, Encyclopedia of an Ordinary Life was intro to AKR. I have been hooked ever since. Such a gift for putting feelings into words. Exclamation Mark! is my absolute favorite picture book (by Amy and possibly by anyone). My 6th grade son, preschooler, and toddler are also all (HUGE!) fans (it’s got something for everyone). Thanks for this; I read Encyclopedia several years ago and think about it pretty often, especially “instant bad mood” and how AKR’s daughter would play her instrument while AKR was in the bathtub (seriously, how sweet does that seem?). I’m starting something today! Sugar Cookies: Sweet Little Lessons of Love and Plant a Kiss – both are favorites in our house. I was given Sugar Cookies as a gift before I ever even had children – it is a very sweet and lovely book. I have two boys now and it is on heavy rotation for our nightly story time. A must read! She was a wonderful author and will be greatly missed. Oh my gosh…what a loss. Thank you for sharing. I love Spoon- an all-time family favorite! I just read my collection of her children’s books to my 8th grade students this afternoon- my small tribute to a wonderfully optimistic and witty woman. What a lovely tribute, Jenny. I read Encyclopedia years ago and loved it – I also loved Duck! Rabbit! So funny. She seemed like such a wise, creative force for good. After reading the first three entries you posted from her encyclopedia, I immediately went and requested it from my library. It looks amazing, so thank you for the introduction. I read “You Might Want to Marry My Husband” last week and was blown away. It hit maybe a little too close to home for me, as my mom passed away from ovarian cancer two years ago (I’m in my twenties, my mom was only 61). What a wonderful tribute you posted – thank you for sharing your thoughts and beautiful words. I’m thinking of her family, and especially, her children, right now. Oh, this makes me sad. When I was in college, my mother gave me “The Book of Eleven,” which is the only thing of Amy Rosenthal’s I’ve ever read, but I loved it so much. I’ll read the other books now, with definite melancholy. I’m saddened to hear of Amy’s death. We love ‘Plant a Kiss’ in our house and my almost-3-year-old told me yesterday that he was busy planting kisses in our yard and wondered that night if they were big yet. Jenny, this is such a moving tribute. Your writing about this writer (who was new to me until I read her Modern Love essay last week) makes my heart ache. Beautiful! All her kids books are brilliant – but my favorite are Little Hoot, Little Oink and the one that DALS will love most, Little Pea. They are about a owl that just wants to sleep but owls must stay up all night, a pig that wants things clean and orderly but has to make a mess and a little pea that has to eat candy, candy, candy before he can have dessert (I won’t spoil what’s for dessert). “Yum, yum, extra yum” has become a common saying around our dinner table, thanks to Amy’s amazing words. So beautiful – what a tribute! I too read You Might Want to Marry My Husband last week and passed it on to a friend. Now I will be passing along this write-up to the same friend. Thank you for this. Thank you for this Jenny. oh my stars! I’m so glad you wrote this post. I had no idea. Her recent article on her husband was heartbreaking to read. I have been a fan of hers for years and years. This is a very lovely tribute and a great reminder to get back to my to-do list. I was so sad when I read her NY Times article she wrote about her husband. I had no idea she was sick and was so sad to hear this. My children and I love her books. Spoon is our favorite! It is so adorable. We have also read and love Chopsticks, Little Pea, Exclamation Point, Little Hoot and Little Oink. She was so young and talented and I am so sad for her family. My 5-year-old loves Little Hoot. It’s about an owl who really wants to go to bed, but his parents make him stay up. It’s very sweet and funny. This is a beautiful tribute – I’ll have to find her adult writing as well. Friends gave us the Little Pea, Little Hoot, and Little Oink trilogy when our first child was born over seven years ago. I’ve gifted them to many others since– they are perfectly charming, joyful little snippets of childhood and parenthood that I am STILL not tired of reading to our third child today. She will be missed. Her writing is beautiful and poignant. Even without her death at such a young age, she really seems to have captured what is important in human relationships. As a woman slightly older than Amy, I’m reminded that now is the time to start doing. creating. I am sitting at my laptop, crying as I read this. I loved AKR’s work, her view from where she stood, her love of her family, her willingness to make beautiful things with words. I did not know she was ill. What a profound loss. Her _Encyclopedia…_ is absolutely perfect, and we read _Little Pea_ for years, as pairs, as trios, until we were five, and still we read. I’m so sorry to hear she is gone. What a nice post and introduction, for me, to this woman. Love the “Nothing” piece and the excerpts you posted. Putting her memoir on my list. As a 1st grade teacher – I only knew AKR through her Children’s books. My #1 favorite is Plant a Kiss. This book is short and sweet, given to us as a baby gift for our daughter. It was the first book she gravitated to when bedtime stories became a nightly ritual. My husband and I can recite the text by heart, and occasionally do when the moment strikes. Riley loves the book also for the tactile glitter that dots each page where the planted kiss sprouts. We are now continuing this tradition of reading, and feeling the little plant bloom with her little brother Cooper. It is a special book for us. 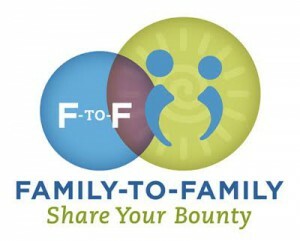 Other favorites include Friendshape, which I gave to my two team-teacher colleagues upon my ‘retirement’ to stay home with my kids. Her words inspire heartfelt emotion and love and need to be shared. Thanks for this post. Spoon is our absolute favorite – I read it nightly more times than I can count but it never got old for me or my son who requested it. Recently his teacher asked them to share a favorite picture book, preferably with a message and without hesitation he picked Spoon…since he is now 10, I panicked thinking it would take us some time to find it on one of our bookshelves, but it was still in a little book copyright near his bed…. How sad that someone with such talent is gone from this world. I will definitely order her two books. Yes Day has always been a favorite of my kids (who doesn’t want a day full of yes??) What a loss. “This Plus That: Life’s Little Equations” was my daughter’s favorite book. We read it weekly if not daily for years. The Little Pea, Little Hoot and Little Oink board book box set is my go to baby shower/first birthday gift. My children’s chewed up, ripped and spine cracked copy of these books is something I will keep always. It is impossible to pick just one of Amy Krouse Rosenthal’s children’s books. A favorite is Friendscape which talks about the value of friends. Exclamation Mark is classic Amy, urging the reader to go out and make their mark. And I scream, Ice Cream makes you laugh with all the play on words. I own over 20 of her children’s books and use them often in my job as an elementary school counselor. This was a beautiful tribute, now I’m crying all over again. Spoon. I read it to my kids and each morning my daughter asks to spoon when we snuggle together and talk about the book. I want to tell her about losing Amy, but since we’re the same age I don’t want her to get scared. The fact that so many of these comments listed different titles is a true testament to how prolific she was, and how each book was special and unique. Thank you again for your eloquence and for the quotes. I discovered Amy K R after reading “You Might Want to Marry My Husband” (quite by accident) last week. I have since read “Textbook Amy Krouse Rosenthal”, and her “Encyclopedia of an Ordinary Life” came in the mail today. Your tribute was beautiful. She left this Earth too soon. 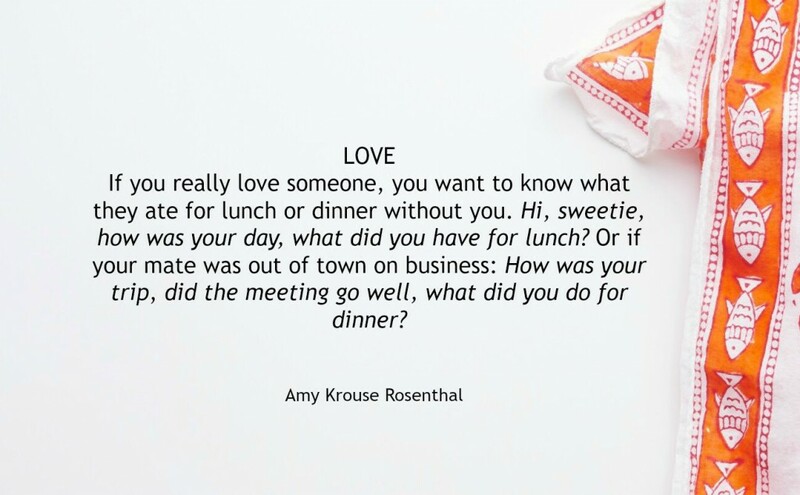 Thank you, thank you, thank you for this wonderful article about Amy Krouse Rosenthal. As a former first grade teacher I loved sharing Amy’s books with my students year after year, but I had not read her adult writing…and then I read her “You Might Want to Marry My Husband” in the NYTimes. I was terribly saddened to hear of her death, a terrible loss in so many ways and my heart goes out to her family. Thank you for sharing, I will be reading Encyclopedia of an Ordinary Life soon! I’m glad someone finally said it: Think about how generous and clear-headed and loving and funny that is. What Amy did was so unconditionally loving that I’m still stunned that we humans are capable of empathy even at our last moments. I had no idea who she was but now am reading everything. Thank you for sharing this touching tribute to the talented Amy. I didn’t know her but her words ring true with me, and I too, lost a dear, brilliant college friend this year to cancer. Stay tuned for what I start in her honor. I’ve been a longtime fan of AKR, without really knowing much about her. We’ve loved the “Little Pea” trilogy for years! My two year old twins were gifted “I Wish You More” over the holidays, and it was only after reading The NY Times article that I made the correlation. She left this world way too soon, but boy, did she leave her mark for generations of future readers. This is a sad news. I just finished reading one of her book last night and went online to find more about her, but this is one of the top news that came out. Nevertheless, her legacy will surely last for generations.